The bright and beautiful creatures of the Amazonian rainforest are a natural fit for an online casino pokie, and Amazing Amazonia by EGT is a great example of why, bringing vivid images of lizards, birds and butterflies to the reels. Looks are not everything however, so this game also comes with some high-paying combinations, a wild symbol, scatter pays and a free spins bonus game with multipliers, along with the Jackpot Cards progressive round that’s common across all EGT pokies, and an optional gamble game. Dense foliage fills the background to the 5 reels, and on either side of them are payline indicators that highlight how many of the 10 lines are active. 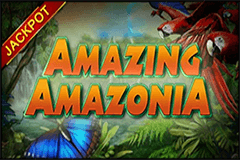 Players can try this game out for a low limit of just 0.01, activating a single line, while the max bet is set at 200.00 per spin, making it suitable for all but the highest of high rollers, although anyone who doesn’t want to even stake the minimum before playing for real cash can find free Amazing Amazonia video pokies at most casinos. Before they begin to spin the reels, players may like to review the pay table to see what rewards they can get. Standard wins come from matching symbols stopping on consecutive reels across an active payline, with that line needing to start from the left side. The playing card symbol J, made to look as if it’s made of some bright blue wood, only needs to stop on the first 2 reels to pay out 2x the amount staked per line, while 3, 4 or 5 of them are worth 5x, 25x or 100x. The other colourful card symbols Q, K and A will need to land on at least 3 reels, but other than this, they are valued at the same amount as the J. The picture symbols are what makes the Amazing Amazonia video pokie such as visual treat, and in ascending order we see a frog and lizard, each of which return wins of 10x, 50x or 125x the line bet, then it’s a parrot and a hummingbird, followed by a very cute giant otter. The highest payouts come from the orangutan and the leopard, each of which creates a win of 2x from only 2 reels, with 25x, 125x and 750x being awarded for getting 3, 4 or 5 of them on a line. Any win of less than 350 coins can be gambled in an optional round that doubles the prize when players correctly guess if a playing card will be red or black, and while they can go again if they were right, a wrong pick loses the amount just won, as well as any gamble gains. A well-designed image of the river, meandering through the jungle, is a wild symbol, that’s worth from 10x the line bet when it stops on reels 1 and 2, up to a massive 10,000x if players are lucky enough to see a full set of 5 right across an active payline. 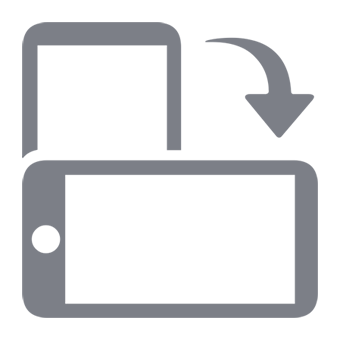 Because it’s wild, this symbol can also substitute for any of the above to complete winning combinations if needed, and even extend wins across extra reels. Anytime the wild creates a win by substituting for something else, the base value of that win is doubled. The only symbol it won’t replace is the blue butterfly, which can stop in any 2 positions to pay 20x the line bet. If 3, 4 or 5 butterfly scatter symbols land at once, not only do players win 50x, 200x or 5000x the line bet, but they also trigger entry to a free spins game. 20 free spins are awarded and any wins during these will be subject to a 3x multiplier, although standard reels are used throughout, so there’s unlikely to be much of a boost to the win ratio. The free games can be retriggered if any 3 or more butterflies flutter onto the reels, and 20 new spins will be added on to the end of the current ones. All EGT pokies have the Jackpot Cards 4-stage progressive round that gets triggered at random. Punters win any of the Club, Heart, Diamond or Spade jackpots displayed above the reels by finding 3 cards of a single suit from the 12 that they need to pick from. Once the round is triggered, they are guaranteed to get one of these awarded. It may not be the most unique pokie on the market, but the combination of beautifully-presented symbols and some decent bonus features should be more than enough to ensure that EGT have a hit on their hands. The one big downside is that it’s not mobile-optimised, but if that’s not an issue, players should enjoy spinning these colourful reels.